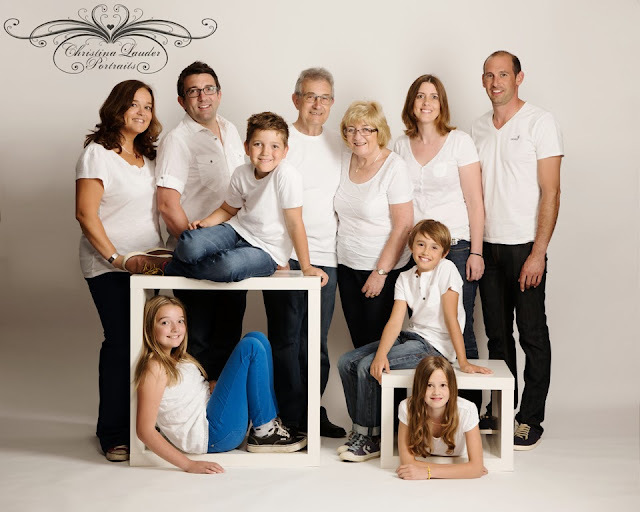 I recently had the pleasure of photographing Mum and Dad, their Son and Daughter and their Son and Daughter's families. It made for a portrait of 10 people altogether which of course comes with its challenges. But we got their in the end and I'm thrilled with the results. The hardest part of course is getting everyone looking their best in the same photo. It rarely works out in such a large group but I managed to get several with only a couple of Photoshopping, head swapping requirements. 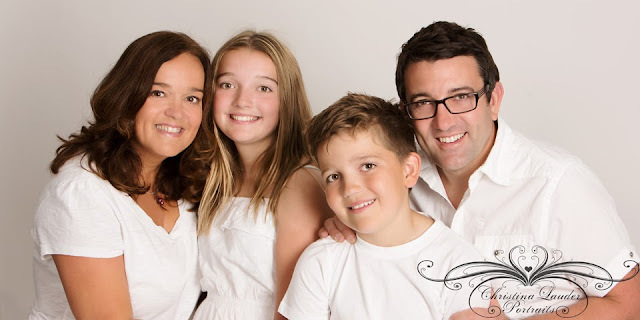 But my skills are up to that challenge quite well these days so I'm almost always quite confident that everyone will be happy with themselves in the final family portrait chosen. And I have to admit I love the challenge of taking a great face from one image and making it fit so no one notices in another image. As is usually the case, I also photograph the large group in smaller subsections as its a good opportunity, while everyone is dressed and ready, to get the individual families portraits as well as some of the children. 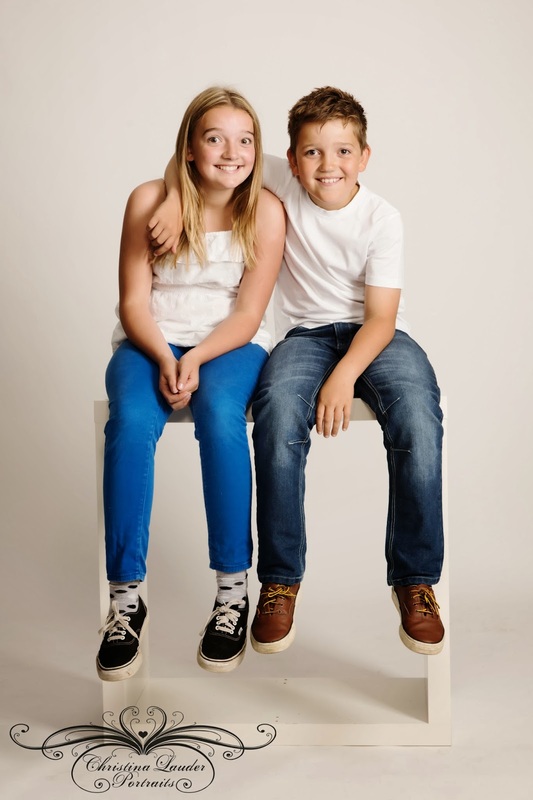 For me the vision I had in my head for these portraits was that of a fresh, bright and summery image, one that would suit the wonderful weather we'd been having. Which is why white tops and the white background were chosen. The results were just what I was hoping for. 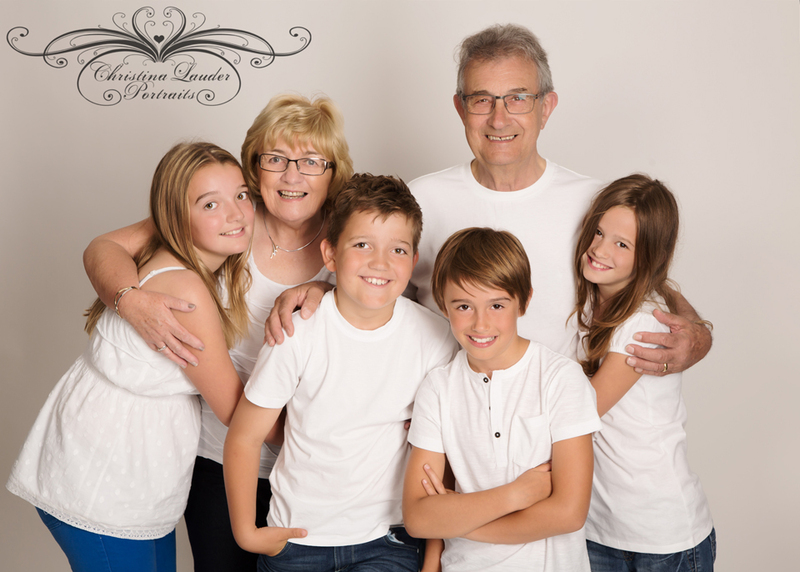 The family worked well together, providing natural smiles which adds the most important touch to these portraits. 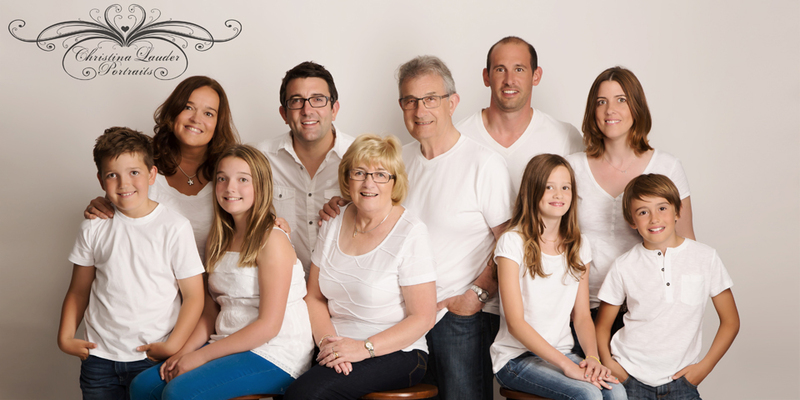 Family portraits are such valuable keepsakes and something people really shouldn't procrastinate on. I know what its like. I'm similar with my own family portraits. But they are such important things to be able to look back on in years to come. And you just never know how long each member of your family will be with you. Don't regret missing out on a family portrait. Ring today if you'd like to discuss the possibilities on 01455 611069.